If the thought of a zero-packaging, zero-waste grocery store seems impossible to you, think again. 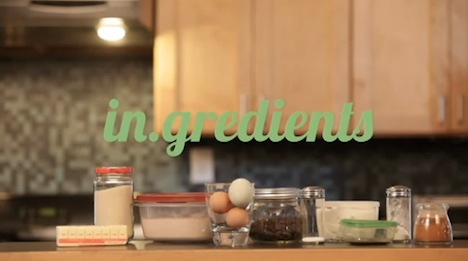 In.gredients is a grocery business created by a group of Austin, Texas entrepreneurs who envision a store where absolutely no packaging is used on foods, and each customer brings their own reusable shopping bags and containers. Aside from the fact that packaged food is often processed and unhealthy, the plastic wrappers also contribute to 570 million pounds of packaging thrown away each day by Americans alone. This isn’t just eco-friendly and a convenient way to buy locally grown and organic goods. It’s also a way to save money by purchasing only what you need. For many of us who aren’t purchasing groceries for a child army, it’s a huge pain to have to buy large quantities of an item only to have it spoil because it wasn’t consumed immediately. By bringing reusable packaging and shopping bags, customers have the luxury of only grabbing what they need and having considerably less packing to sort through and throw away when they start preparing meals. Compostable containers will be available if customers forget their own, but everything sold and available in the store will be waste-free. Since the future clearly doesn’t involve eating our meals in pill form, maybe this is the grocery store of the future. In.gredients will also host events such as cooking lessons, garden days and concerts, as well as feature local artists and entrepreneurs. Expected to open in the fall, it sounds like community gathering at its finest and a great way to grocery shop if you’re looking to cut down on your environmental impact. What do you think about In.gredients? Would you shop here, or does it seem like too much of a hassle for you? Previous post: UK To Retract Funding Of World Bank Due To “Dirty” Power Plant Loans?